The Banking Industry Architecture Network (BIAN), a not-for-profit fintech industry body, has launched its latest release of its service landscape. Termed SL 6.0, the framework is designed to provide a “globally standardised and simplified” banking architecture structure, using a service-based architecture. Hans Tesselaar, executive director BIAN, explains: “The industry often focuses on how developing and opening APIs will empower collaboration between banks and fintech or broader tech enterprises. 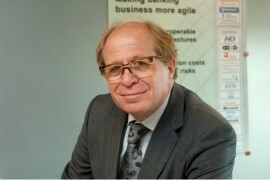 To explain its intentions further, BIAN says traditionally its members have focused on defining the individual business capabilities that make up a bank – grouped into service domains, and subsequently identifying the information dependencies (known as service operations) between these business building blocks. Alongside continuing to build this out, “specific attention” has been given to building additional architectural layers and providing detail to the model in SL 6.0. According to BIAN’s research, a bank is split into three key layers. The infrastructure layer encompasses generic services and functions; the application layer represents the information technology landscape, with all its applications and connections; the business layer grasps the bank’s business direction and the business capabilities. BIAN states that expanding the framework in this way, in the following months, will enable consistent interpretation in implementation for banks, enabling them to be “completely vendor agnostic”, while also supporting API development and cloud enabling. With the framework in place, BIAN says that its next step is to define the individual APIs for banks, with the aim of completing over a hundred definitions over the next year. In line with this initiative, BIAN adds that its members have elected a new board member – Santhosh Pillai, chief architect and data management at Dutch bank ABN Amro.